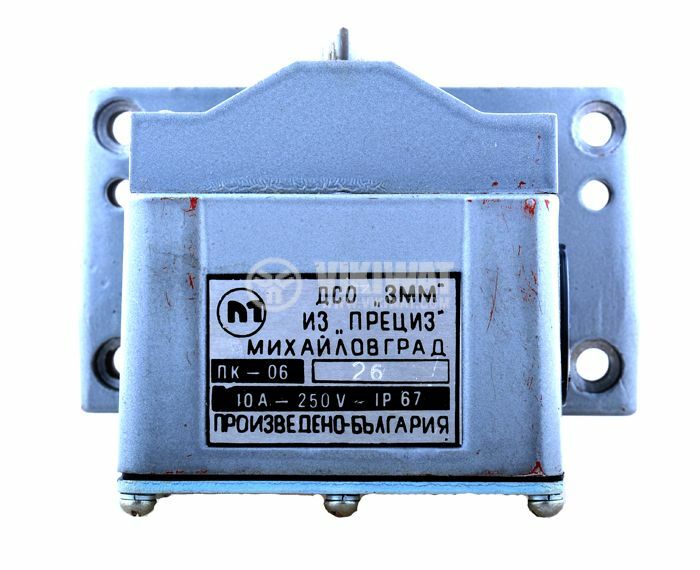 Limit road packet switch ПК-06, 12SPST - 6xNO + 6xNC, 10 A / 250 VAC, pusher. 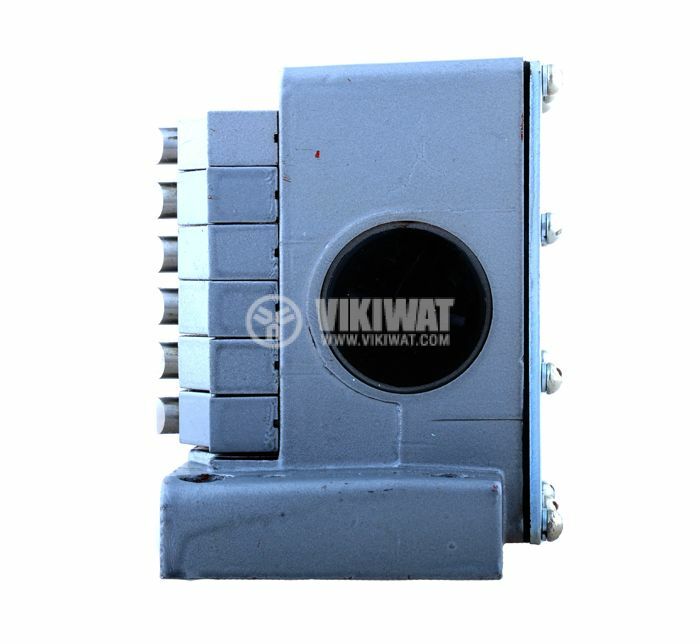 Terminal switches are electronic position switches that have a wide range of operating points. They control mechanical displacements and convert them into an electrical signal and can be used for both signalling and safety circuits. 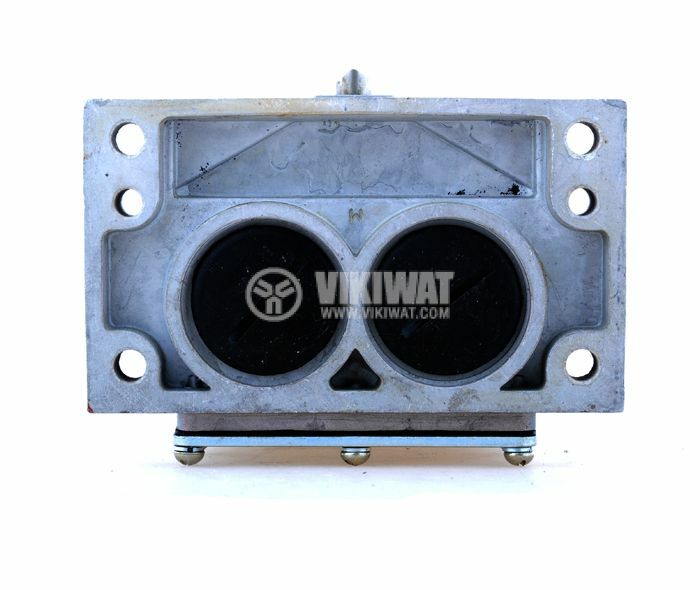 When interacting between the lever system and the movable parts of the tracking mechanism, the contacts are switched, resulting in the generation of an electrical signal subsequently used by the control system. 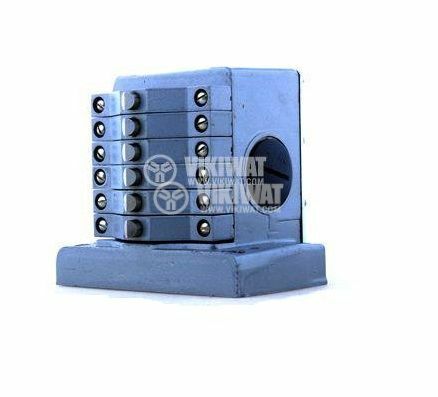 They are used to control, protect and block cranes, hoists, lifts, belt conveyors and many others. 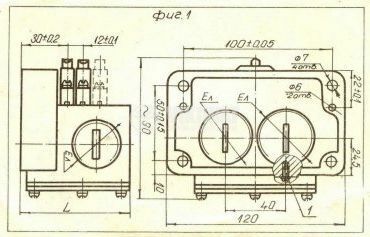 mounting - 4 x ф 7mm and 2 x ф 6mm openings.